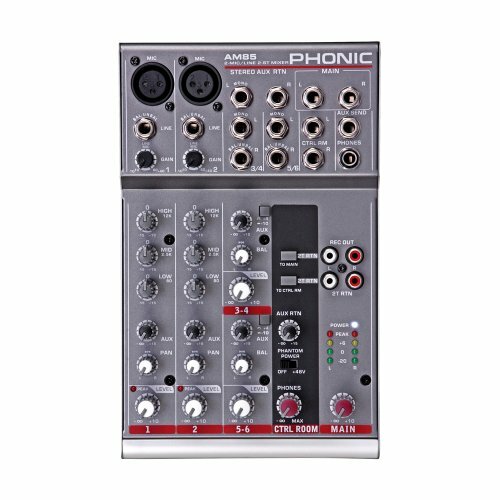 No-frills professional mixing - in short, that’s what Phonic’s AM series delivers. While some other companies focus on cramming the latest technological fads into their mixers, Phonic’s AM series delivers the most robust and usable features relied upon by professionals. From our premium EQ’s to our highly refined noiseless circuitry, the AM series provides you, the sound professional, everything you need - nothing more, nothing less. No-frills professional mixing at its best. If you have any questions about this product by Phonic, contact us by completing and submitting the form below. If you are looking for a specif part number, please include it with your message.